Properly analyzed, the collective mythological and religious writings of humanity reveal that around 1500 BC, a comet swept perilously close to Earth, triggering widespread natural disasters and threatening the destruction of all life before settling into solar orbit as Venus, our nearest planetary neighbor. Sound implausible? Well, from 1950 until the late 1970s, a huge number of people begged to differ, as they devoured Immanuel Velikovsky’s major best-seller, Worlds in Collision, insisting that perhaps this polymathic thinker held the key to a new science and a new history. Scientists, on the other hand, assaulted Velikovsky’s book, his followers, and his press mercilessly from the get-go. In The Pseudoscience Wars, Michael D. Gordin resurrects the largely forgotten figure of Velikovsky and uses his strange career and surprisingly influential writings to explore the changing definitions of the line that separates legitimate scientific inquiry from what is deemed bunk, and to show how vital this question remains to us today. Drawing on a wealth of previously unpublished material from Velikovsky’s personal archives, Gordin presents a behind-the-scenes history of the writer’s career, from his initial burst of success through his growing influence on the counterculture, heated public battles with such luminaries as Carl Sagan, and eventual eclipse. Along the way, he offers fascinating glimpses into the histories and effects of other fringe doctrines, including creationism, Lysenkoism, parapsychology, and more—all of which have surprising connections to Velikovsky’s theories. Science today is hardly universally secure, and scientists seem themselves beset by critics, denialists, and those they label “pseudoscientists”—as seen all too clearly in battles over evolution and climate change. The Pseudoscience Wars simultaneously reveals the surprising Cold War roots of our contemporary dilemma and points readers to a different approach to drawing the line between knowledge and nonsense. "What is the difference between science and pseudoscience? As the publisher of Skeptic magazine and the ’Skeptic columnist for Scientific American I am frequently asked this question. Believe it or not, it’a a hard question to answer. Michael Gordin’s The Pseudoscience Wars is the best single volume I have come across in my vast reading on the topic. He clearly and succinctly captures all sides on the debate, is rigorous in his research and fair to both believers and skeptics, and his narrative reconstruction of the Velikovsky affair makes for gripping reading. 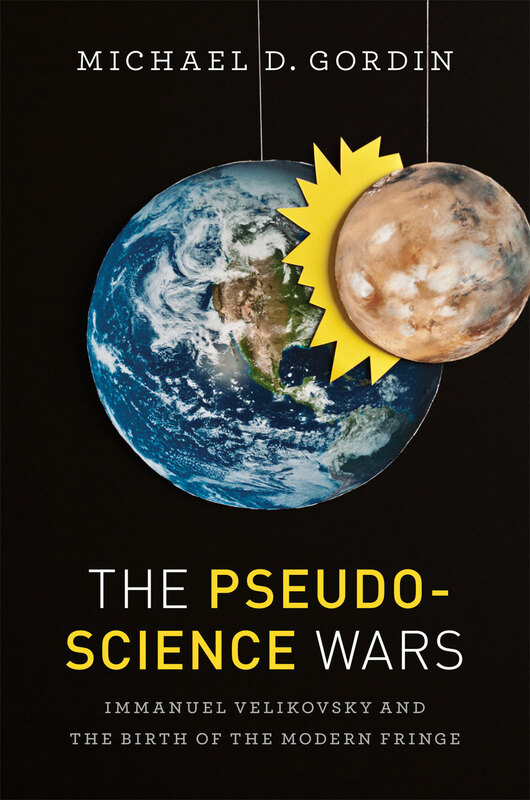 The Pseudoscience Wars is destined to become a classic in science literature." "Scholarly and highly readable. . . . Gordin’s historical analysis of pseudoscience remains disturbingly relevant." "A slyly funny writer. . . . Make no mistake: Gordin’s sympathies are not with the occult. His fascination with pseudoscience is more like a negative method: the experts define the boundaries of their domain by fending off the quacks. For Gordin, pseudoscience is an instrument by which he takes the temperature of the past. . . . . The Pseudoscience Wars is a relatively slim volume, but Gordin siphons into it an overwhelming amount of information."